Please note that this position is being posted as part of a job family. The position may be filled as either the Tech I, Pressure Control (Grade GSN1-4), Tech II, Pressure Control (Grade GSN1-5) or Tech III, Pressure Control (Grade GSN1-6). Individuals who demonstrate advanced skills in terms of work experience, education, assessment scores and/or certifications may be eligible for the advanced positions. Member of a team responsible for inspecting, troubleshooting, and maintaining the Company’s district and city gate regulator stations in SOPS. Responsible for the inspection and maintenance program of the Company’s emergency valves. Performs compliance inspections of regulator stations and emergency valves per federal guidelines. • Compliance inspections of regulator stations and emergency valves. • Monitoring and adjustment of station pressures during cold weather. • The startup of new stations associated with new business extensions. • Supporting local service centers during internal and external operations audits. • Assists in conducting external inspections of direct operated regulator stations. • Assists in conducting external inspections of basic designed pilot operated regulator stations. • Performs emergency valve inspections. • Performs leak testing of regulator stations. • Assists with the startup of new stations associated with new business extensions. • Supports local service centers during internal and external operations audits. Member of a team responsible for inspecting, troubleshooting, and maintaining the Company’s district and city gate regulator stations in SOPS. Responsible for the inspection and maintenance program of the Company’s emergency valves. Performs compliance inspections of regulator stations and emergency valves per federal guidelines. Also, as needed, performs inspection, maintenance and troubleshooting of valves and regulation equipment at Power Plant facilities. • Conduct internal inspections of direct operated regulator stations. • Conduct internal inspections of pilot loaded regulator stations. • Conduct turn-on procedures for all area assigned regulator stations. • Conduct troubleshooting abilities (intermediate proficiency). includes knowledge of pressure ranges and applications for all types of manufacturer pressure control devices approved for AGLR use including regulators, relief valves and control valves. Ability to assist in the diagnosis of equipment failure root causes and implement the problem resolutions. • Complete work orders in Arm Mobile/WMIS. • Use Mobile GIS to obtain system operational information. Leads a crew responsible for inspecting, troubleshooting, and maintaining the Company’s district and city gate stations in SOPS as well as performing work at power plants. Responsible for the inspection and maintenance program of the Company’s emergency valves. Performs compliance inspections of regulator stations and emergency valves. Extensive knowledge of the natural gas system, system pressures, and various regulator station designs to include but not limited to: wide open monitor configuration stations, working monitor configuration stations, full relief configuration stations, farm tap stations, building wall (commercial application) stations, and single & parallel run configuration stations. Takes ownership of maintaining and protecting the integrity of local emergency districts, double cuts, and passive/working monitors in assigned area. Maintain and inspect odorizes (as required). Rebuild and test regulators, relief valves, and control loops. Maintains pressure control records for assigned area. Takes ownership of maintaining and protecting the integrity of local emergency districts. Works with engineering design to ensure the size of emergency districts are manageable and held within the regulatory standards. Ensure pipeline projects do not eliminate critical valves. Locations of valves are logical. Maps and records are maintained. Assist Field Operations and Construction Operations during mass outages and large capital projects requiring pressure control expertise. Responsible for cold weather monitoring and performing emergency bypass operations in assigned area. Must have knowledge and experience to properly understand pressure issues of assigned systems in order to forecast problem areas and be proactive in assessments and solutions. 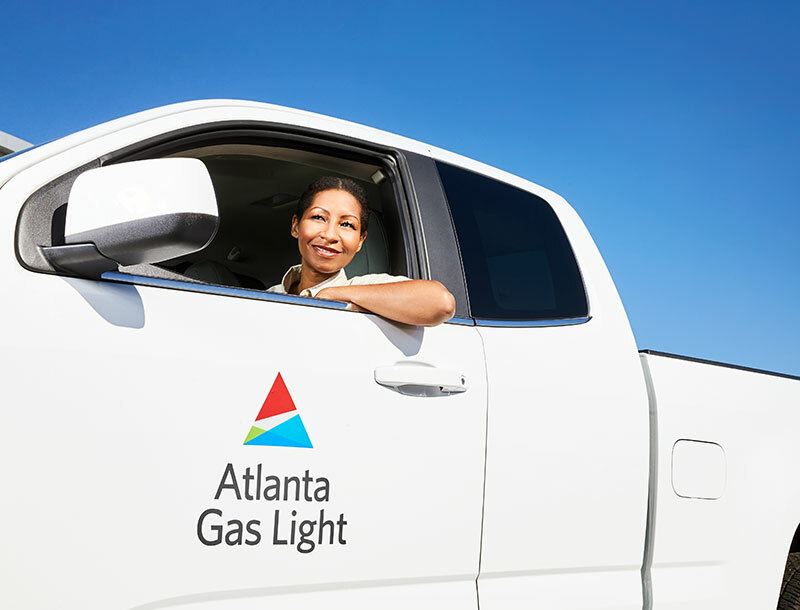 Troubleshoots customer gas pressure complaints; analyzes and resolves problems or recommends solutions. Extensive knowledge of pressure ranges and applications for all types of manufacturer pressure control devices approved for AGLR use. In-depth knowledge of pressure control devices internal components. Assist leadership team with Forecast for annual O&M budget requests for assigned area pressure control activities. Assist Corporate Engineering with Modeling of local pressure systems. Assist Engineering Design with annual forecast for assigned area pressure related capital projects. • Demonstrate basic knowledge of regulators. • Identify types of direct operated regulators. • Identify types of pilot loaded regulators. • Identify types of Company used valves. • Explain basic concepts of regulator station orientation. • Demonstrate basic knowledge of pressure system classes: Low Pressure (LP), Medium Pressure (MP), and HP Pressure (HP). • Demonstrate knowledge of common terminology related to pressure control and gas distribution. • Can identify components of Company approved regulators. • Can explain components of a natural gas distribution system. • Demonstrates safety requirements in establishing a job site setup. • Demonstrates basic knowledge of GIS and ARM mobile. • Intermediate knowledge of assigned area’s system MAOPs and OPM regulator station operation and design. • Explain pressure systems in assigned areas. Possess and demonstrate mechanical aptitude with emphasis on regulators, relief valves, and valves. Computer skills for working in (Excel, Word, Outlook) and AGL systems: CTS, WMIS, ERX, OASYS, Mobil GIS. Excellent knowledge of AGL systems: CTS, WMIS, ERX, OASYS, Mobil GIS. Excellent knowledge of assigned area’s system MAOPs and OPM regulator station operation and design. Ability to perform sizing calculations for regulators, relief valves, and meters. Ability to analyze and interpret manufacturer technical and product bulletins. Must be physically able to stoop, bend, crawl, walk, climb ladders, and carry/lift weights up to 100 pounds. Ability to occasionally ascend and descend stairs and ladders as required. Must have keen senses of smell, hearing, vision, and color identification. Ability to work in all types of terrain and weather conditions are required (extreme heat/cold). Have ability to work with leak soap solutions, grease, cleaning fluids used in pressure control operations.